This afternoon, the final round of the 20th edition of GACC has ended. 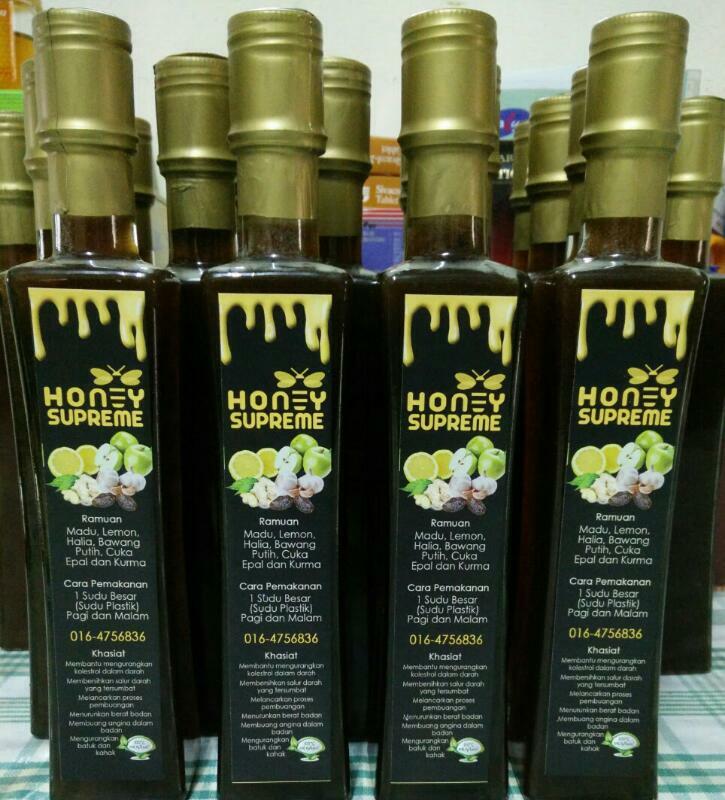 For this year edition, a Malaysian has won the championship. Who is the Malaysian who has emerged as the champion in the 20th GACC? 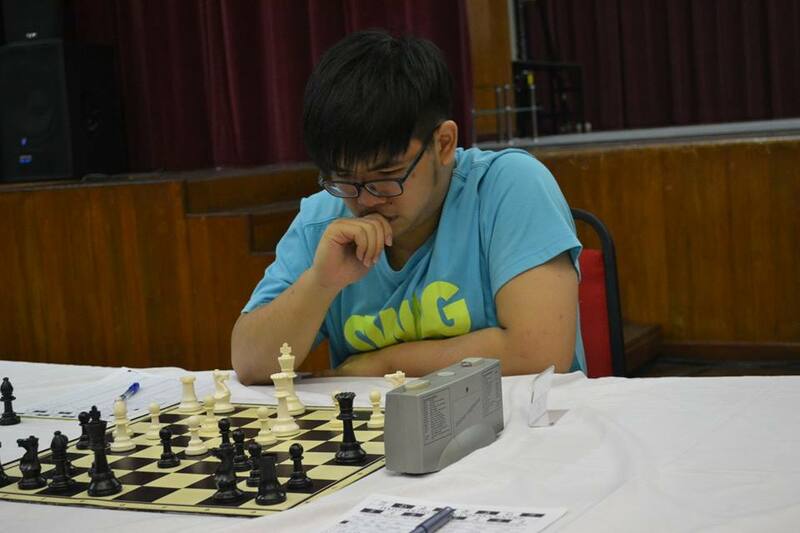 As in the above Top 20 Final Ranking, the Malaysia player is Tan Wei Hao who represents HELP university. In fact, Wei Hao just made his debut in the championship. He is two years junior of both Fikri and Ken Yew, who becomes the First Runner Up. The three of them are members of MSSWPKL chess team for 2012 and 2013. 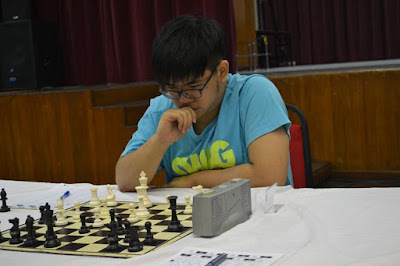 Seeded 9thin the championship, Wei Hao cruised through his first five rounds by winning all of them. Then in the sixth round, he drew with the top seed, Perera from Sri Lanka. He won the next round against the sole participant from India. In the final two rounds, he drew with Malaysian Female Olympiad chess players - Nabila (UiTM) and Alia (UM). 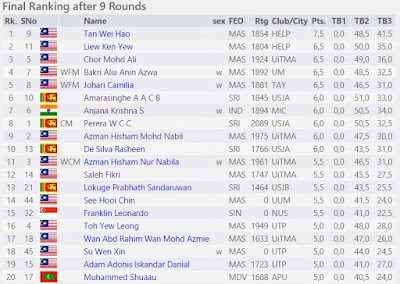 Therefore, Wei Hao scores 7.5/9 points from 6 wins and 3 draws. 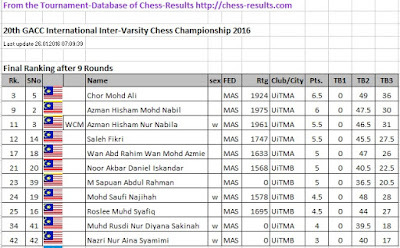 Let's take a look at UiTM chess team in the championship. GiLoCatur would like to correct the earlier entry. Actually, UiTM sends two teams of six players meaning there should be twelve UiTM players in the championship. One female player could not make it while one male player had bye in the first day because he had something to attend to. 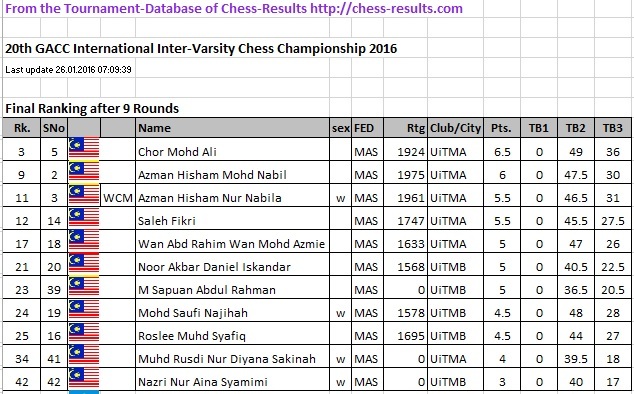 Well done to UiTM chess players in the championship. 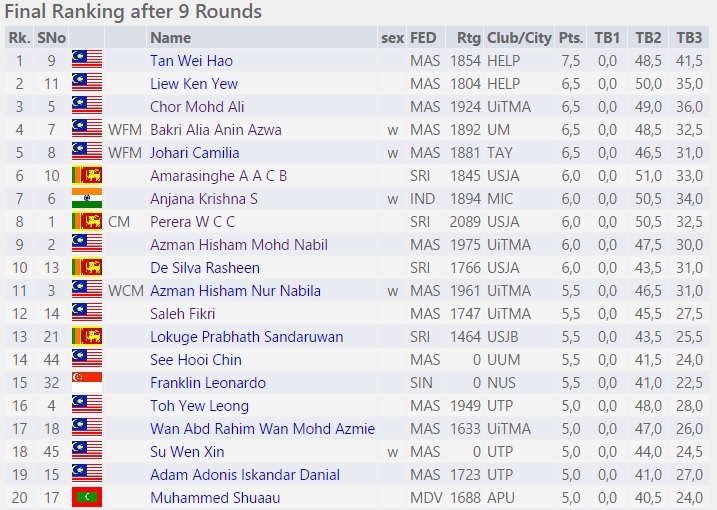 Two of its players - Ali Chor and Nabil, are in the Top 10. Some of UiTM players as in the above list will take part in the SUKIPT which will be held in four days. 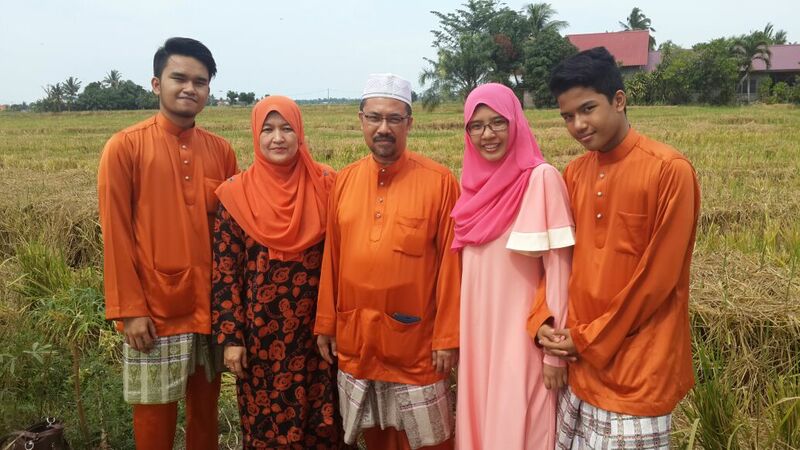 GiLoCatur hopes UiTM will continue sending its chess team in the next GACC championship. GiLoCatur also hopes UiTM chess players to learn from this championship and improve in future editions. Be proud to represent the University and make it proud by achieving the best results.